Oh Baby: What is the Best Age Gap Between Kids? I have identical twin girls. 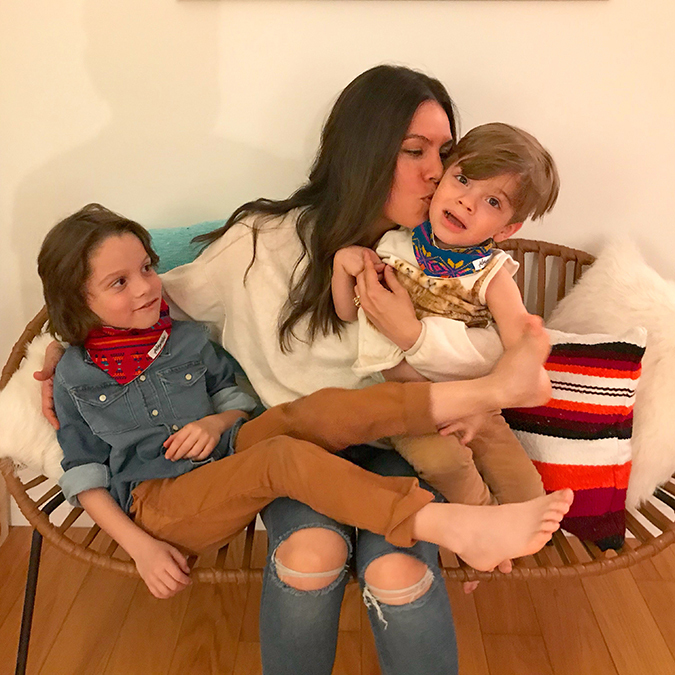 I’ll never know what it is like to just have one child (although I do fantasize about it every so often when I’m overwhelmed; and especially when I am feeling guilty.) I love motherhood and being able to add ‘mama of twins’ to my resume of talents, but it can also be incredibly isolating. Sometimes I am exhausted just thinking about bringing both of them down to the car, strapping them in, getting them out, and lifting their colossal stroller and diaper bag. It’s hard to make friends when just getting out of the house is so difficult. Not to mention, I don’t always relate to everyone’s struggles when mine are truly double. On the flip side, my girls will never be alone. I never feel guilty taking my time getting out of bed in the morning and letting them play together. They were born with their best friend by their side! I’m sure that having an identical twin will have its challenges in the future, but I honestly feel so grateful and happy to be their mama. When I see them cuddling and playing with each other, it makes me feel like I’m doing something right; it lights up my world. The ups are truly up and the downs are truly down with twins. Everything seems so much more magnified. My two babes are 13 months apart. I was totally surprised when I found out I was pregnant again, but I’m so glad that it happened that way. I was 8 months pregnant on my son’s first birthday, and he started walking the week my daughter was born! It was definitely challenging physically to have back-to-back pregnancies and to have two babies always slightly off the other one’s sleep schedule. 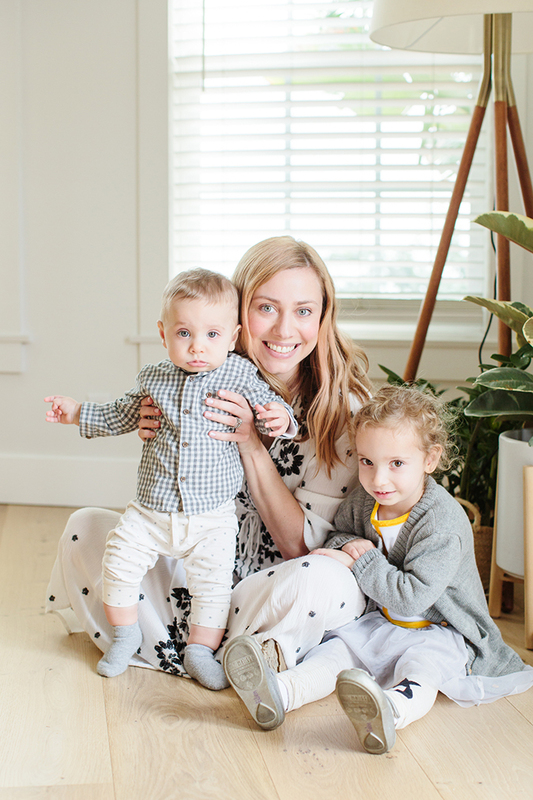 I created my company, Native Wilds, after the birth of my second because I wanted to create products that empowered new moms to get out of the house with their babies, since I felt so inhibited in those early days. Now my children are 4 and 5 and I couldn’t be happier with their age difference. They have the strongest sibling bond and entertain each other for hours since they’re into the same things! It’s definitely easier having them close in age. If you can power through the first few years, it gets so much easier and is so fun! I had my first child, Henry, in January of 2012 and by February 2013 my daughter Hazel was born! I am an identical twin, so I’ve always grown up with a built-in best friend, but it was still definitely a shock being pregnant back-to-back and came with its own set challenges. 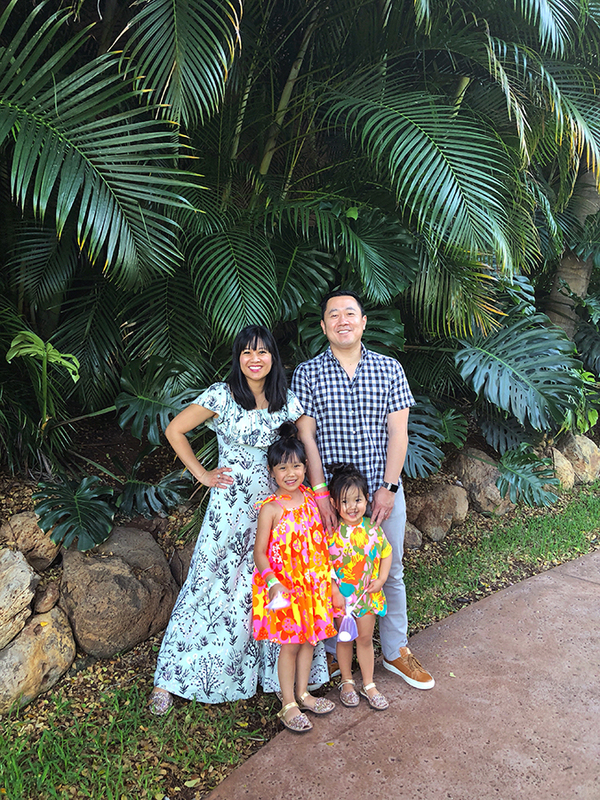 Taking care of a young toddler while 9 months pregnant was a learning experience (I used a side sling to carry him on my hip since my stomach was out of the question! ), and then after Hazel was born, any sense of “I know what I’m doing” went out the window. 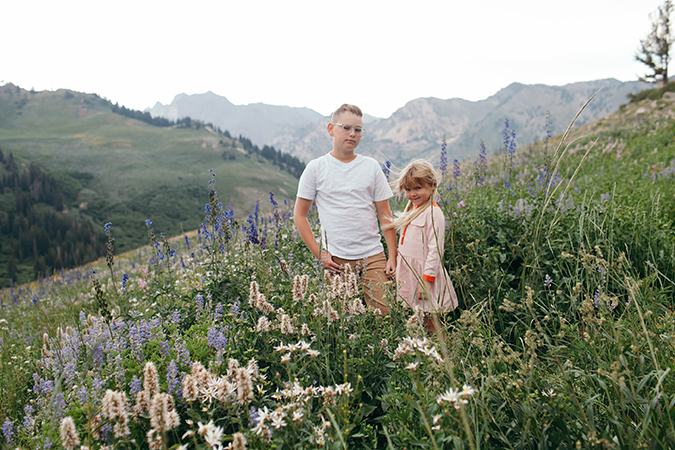 The early days were blurry, messy, and hard, but the magical thing is my son doesn’t even remember life without his little sister. Being only about a year apart means that they are quite similar in growth stages and emotional/social needs. We were done with diapers and baby bottles in just a few short years, and my children are best friends. They share a bedroom and bunk beds now (putting them to bed is a snap! ), and while they are two very different children with different interests, friends and hobbies, they are so happy to play together (and of course fight together). I couldn’t ask for anything better. 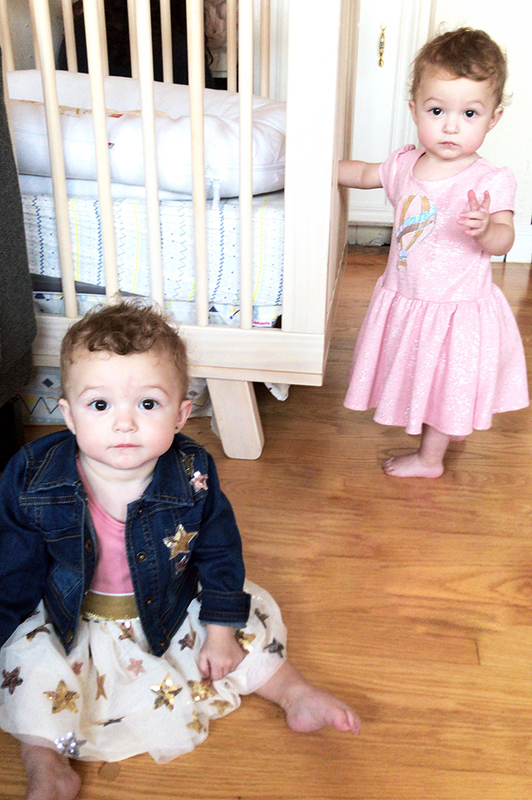 My daughters Edith and Lilah are exactly 24 months apart. It wasn’t always easy, but it’s proven to be the perfect age gap for our family. The first two years were really hard if I’m being honest. Being only two when her sister was born, Edith still needed a lot of my attention. She wasn’t old enough to go without a stroller, needed help with everyday tasks like getting dressed and potty breaks, and to top it off, she stopped napping completely once her sister was born. It felt like I had two babies at once and could never catch a break. But once Lilah turned three, life did a complete 180. Now my girls are best friends. They’re close enough in age to be able to enjoy the same activities and can even share clothes. They play independently for hours in their room, and I can sit on the bench with a book on the playground for hours. The best part was being able to get rid of all the baby gear in one fell swoop! My three girls are ‘stair step’ siblings. They are all spaced about two years apart, which has been great for our family. They are close enough in ages that there are plenty of overlapping interests and abilities. (This especially comes in handy as school and curriculum can be applicable to all of them.) There is the benefit of having someone to look up to, while also having the opportunity to be a mini mentor. I’m looking forward to them continuing to go through stages in rapid succession. Plus, the three of them are inseparable, which means I can grab a moment to myself occasionally. People always assume we must be terrified for the teen years—hello, 13, 15, and 17! However, I think they will continue to thrive having companions to share life and clothes with. Luckily, the cons to their spacing have been few and relatively minor. When they were younger, it was tough on me personally to see the almost instant change from baby to ‘big girl’ when the next baby was born. I found myself torn between expecting more from the toddler and wanting them to stay tiny babies forever. Now we’ve hit a pretty fantastic balance, but I can foresee a few small challenges in the future. Mostly of the ‘wanting freedom from my little sisters’ and ‘why can’t I come? !’ variety. Each stage has its own charms, and I am relishing each one as it unfolds! My kiddos are two years and nine months apart. 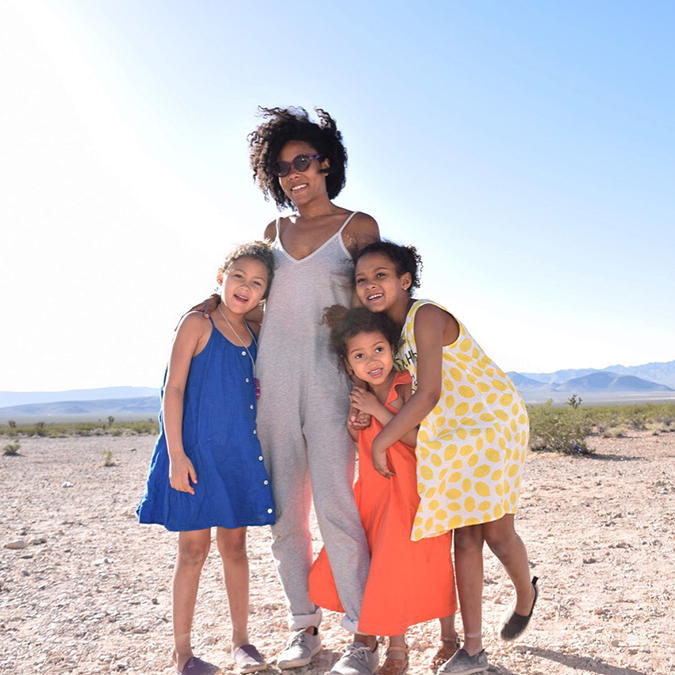 The transition to motherhood wasn’t easy for me, and when my daughter Eden was an infant I remember saying that I wouldn’t be ready for baby No. 2 until she was five. But my colicky newborn turned into the sweetest, easiest toddler, and by the time she was two my husband and I couldn’t wait to have another. Eden was already pretty independent when Arlo was born, so that made things a lot easier on us as parents. She was potty trained, could entertain herself for short periods of time, and was also very verbal, so she could communicate her feelings to us (and boy, did she have a lot of feelings those first few weeks). She was also already in preschool, which means we get some special one-on-one time with Arlo too. I’m also glad we didn’t end up waiting too much longer between kids though, because they are still close enough in age to really play together. They adore each other, and witnessing the fun they have together is the single best feeling as a mother. One of the hard parts about their age gap is that my older kiddo dropped her nap a few weeks after her brother was born. It would have been so nice to have a break during the day with both kids napping during those first few sleepless months, like you sometimes get with two kids closer in age. 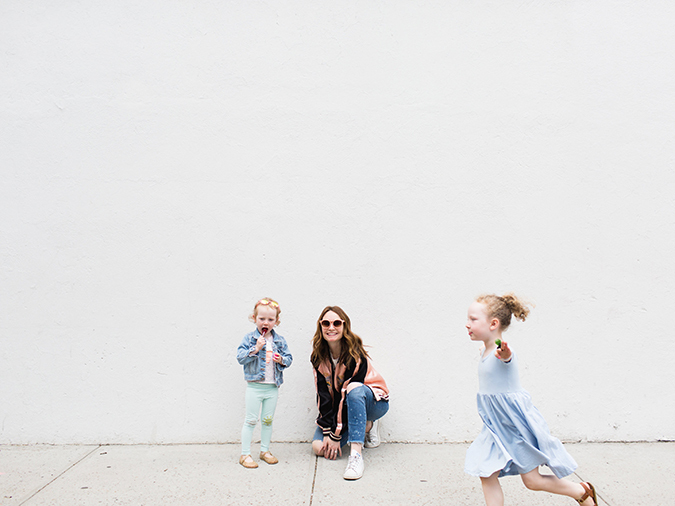 Three is also a hard age in general (they call them “threenagers” for a reason), so bringing about a huge change like a new sibling can be pretty destabilizing for a child who is just learning how to navigate all of their feelings and emotions. We definitely had more than our fair share of tantrums those first few weeks, but it all leveled out pretty quickly. Overall, I feel very happy with their age gap. I have two girls that are exactly three years apart (both born in October), Ruby who is 6 and Coco who is 3. Since my little brother is eight years younger than me and my husband’s brother is 6 years older than him, we knew we wanted kids a bit closer in age so they could be closer while growing up as well. The age difference has worked fine for us, but I really think you make it work no matter what age gap you have. Our oldest was just starting preschool when our littlest was born, so preschool gave Ruby her own separate place and allowed me time to focus on a new baby at home. People tell you that when a new baby comes, make sure to have lots of extra alone time with the oldest to help with jealously. For us, that made it worse because she felt as though the baby belonged to Mommy and Daddy and was separate from our love for her. Once we involved Ruby into her baby sister’s routine (bath, bed, etc.) and once they shared a room, they became more of a team. Everyone said that it gets much better when the youngest turns two, and it’s so true. Now Ruby and Coco can fully play with one another as equals…not as a toddler with a baby but as two little kids. No day is free of drama with two girls, but I adore watching how much they love each other. My two boys are four years apart. We love the age difference! 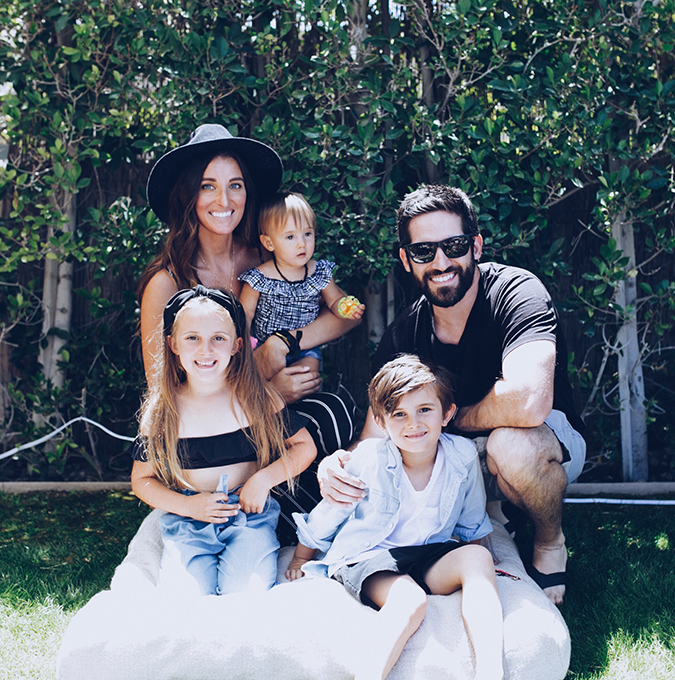 When our second child, Rocky, was born, our oldest, Everett, was attending his last year of preschool full time. 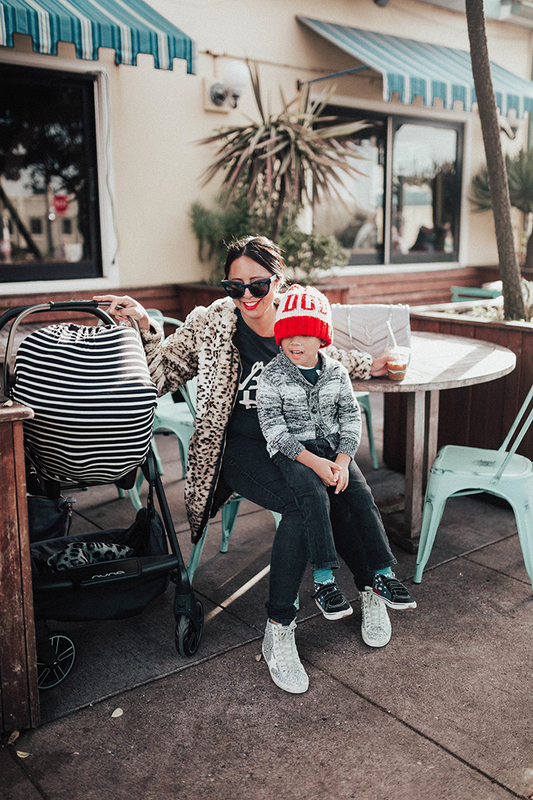 I was able to enjoy having free time while pregnant and one-on-one time with our newborn when he was born. Everett was potty trained and communicating which was helpful. They’re finally at the age where they play together and my youngest loves the same things as his older brother. It’s very sweet. Our oldest helps out with his brother but also loves to antagonize him. When the little one is scratching furniture or throwing things, our son lets us know or will tell him not to do it. Everett does get jealous when we’re cuddling or playing with his brother too much, and lets us know. Since Rocky is our last child and is a toddler, it’s hard to resist the toddler cuteness. So I feel like I have to kiss/hug or play with him on the DL. In the beginning it was hard when Rocky was napping twice a day and we wanted to do anything or travel anywhere. Everett was at the mercy of his brother’s nap schedule. They’re both in different schools, so that’s challenging. Especially when there’s parental needs at both schools, I feel spread so thin. Weekends can be exhausting with separate birthday parties and extracurricular classes. My husband and I have to divide and conquer a lot. I’m just scared when the day comes that Everett won’t want to play with his younger brother or see him as a nuisance. Overall, they love and adore each other for now. I feel like we hit the jackpot with our age gap. Theo is 5 and Olive is almost 6 months, so about 4.5 years between them. Not only does Theo adore his sister because she is his #1 fan (aka she rolls around her crib in their shared room and watches him build castles, play superheroes, and all the things), but he is 100 percent capable of bathroom visits, getting dressed, and playing independently for long periods of time. At this ripe old age of 5, my son is my biggest helper when it comes to his little sister. He holds her bottle when she’s drinking, grabs me a diaper and wipes, watches her intently when I dash to the bathroom, and soothes her when she gets upset. I love watching them grow together. The biggest challenge at this age range is that the 5-year-old keep us accountable. He remembers things we said we would do and comes back to collect. If we can’t fulfill our promises down to the day, Theo will feel frustrated, and I will need to apologize, explain why the promise wasn’t kept, and offer a compromise. I like this challenge though, because it forces us to have the WHY conversation with our kids and encourages us to commit to the promises that we know we can deliver. My oldest daughter was five when my youngest daughter was born. I think the age gap was perfect! My older one is able to be pretty self sufficient as far as getting herself ready in the mornings. She also is pretty independent, so she liked getting her own breakfast together, and really just made it so much easier on me. She also helps with getting clothes and diapers out for the baby. If I need anything, she is my assistant! I can count on her to watch the baby while I shower, and make sure she isn’t destroying anything. Ryan is like an extra little mama. My kids are 6.5 years apart and although we didn’t plan it this way, it’s been the best thing. My son is 12 years old and my daughter is 5. Now as they are older, my son helps out a lot. He can watch her for us and I don’t have to pay for a babysitter. But the best thing about it is she absolutely adores her brother. They play pretty well together, but still have their little hiccups—but what siblings don’t? We hope you all found this as interesting as we did. Do you think there is an ideal age gap between kids?